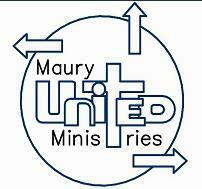 From the very beginning, MauryUNITED has had a vision for helping other Christian Ministries in Maury County! If you have ever been around folks who are in need, you know that many times they are VERY NEEDY and it takes MANY Ministries working in conjunction with MANY Churches to bring the kind of help to them that can change their lives (and their children's lives) forever! While Church congregations are usually able to generate income from within their own body, Non-Profit Christian Ministries do not have that advantage. From the beginning, MUMs has taken the first 10% of our donated income and we have given that 10% to other Christian Non-Profit Ministries and to individuals who are in need. We know that this small amount helps each of them a LITTLE BIT - but how we long to help them in a much larger way! Most of these ministries struggle financially. Most of them, of necessity, spend a lot of time trying to raise funds so they can pay the next bill. We desire to open up a new pool of resource for Non-Profit Christian Ministry in Maury County! We want Maury County to become known as a ground-breaking County when it comes to supplying finances to those who are helping the poor for the sake of Christ! There is a way that it can be done! $1500.00 check EVERY MONTH to TEN DIFFERENT CHRISTIAN MINISTRIES!! Now THAT would make a difference in each of those ministries!! That is what we hope to do! Please pray about becoming ONE IN A THOUSAND! Please help us to open up this pool of resource to these Ministry Leaders who are working so hard in God's Field here in Maury County. "I proy for all who will believe in Me, that they may be one."